Organizing an event? Make sure everyone’s invited stylishly! 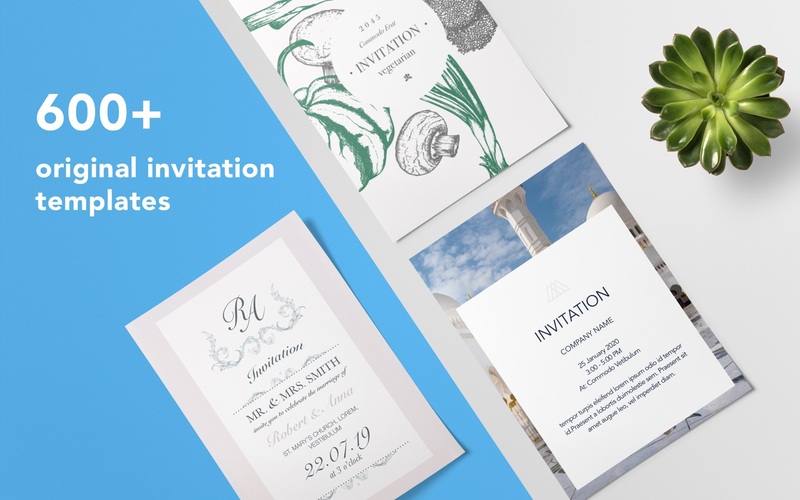 With over 600 original invitation templates, Graphic Node’s Pages Invitations is your trusty companion to craft that perfect invitation for any kind of event. Birthday party, picnic, wedding, Christmas, New Year, Thanksgiving – Pages Invitations have you covered! Every template is highly-customizable so unleash your creativity: edit, replace, resize items, change texts, choose playful fonts – personalize the invitations to capture the essence of any event! Remember, all events start with an invitation – make it a good one! Next story Viscosity 1.7.14 – Graphical user interface for OpenVPN. Previous story GraphicConverter 10.6.8 – Graphics editor with powerful features.